We’d love your help. Let us know what’s wrong with this preview of The Juliet Spell by Douglas Rees. I wanted the role of Juliet more than anything. I studied hard. I gave a great reading for it—even with Bobby checking me out the whole time. I deserved the part. I didn't get it. So I decided to level the playing field, though I actually might have leveled the whole play. You see, since there aren't any Success in Getting to Be Juliet in Your High School Play spells, I tho I wanted the role of Juliet more than anything. I studied hard. I gave a great reading for it—even with Bobby checking me out the whole time. I deserved the part. I didn't get it. So I decided to level the playing field, though I actually might have leveled the whole play. You see, since there aren't any Success in Getting to Be Juliet in Your High School Play spells, I thought I'd cast the next best—a Fame spell. Good idea, right? Good thing he's sweet and enthusiastic about helping me with the play...and—ahem—maybe a little bit hot. But he's from the past. Way past. Cars amaze him—cars! And cell phones? Ugh. To ask other readers questions about The Juliet Spell, please sign up. How do i rea the book? Ayshe You buy or loan it first. I only participated one play in my whole life, I mean bigger play, and that was Romeo and Juliet. This overrated masterpiece of the greatest poet and a playwright, William Shakespeare. I'm not a fan of him and never enjoyed long plays especially written by him but I'm enjoying watching kids, teens and actors playing roles of his own imagination. I know he was good but I just can't pass through from pages of his dialogues in old English. Please Shakespeare, give me a break for awhile. But what if William Shakespeare's brother one day disappeared in 15-something and appears in the 21st century? Can you manage how his English and accent works, and his I-don't-know-what-to-do-with-something brain? At least Miranda worked well on teaching his not-true cousin from England. Well, he came from the light burst above her head after performing a 'wannabe-popular' spell from her so called teenage spells to become Juliet in a local play. Well, it works but one problem, this Edmund guy is getting popular and one by one, his identity become visible day by day. Can they survive or another tragedy will happen again? I read some of the reviews in Goodreads and I'm very sad that only few liked the book. I don't know why exactly because they have different reasons, but one thing for sure, I enjoyed this book and I think I started to love Shakespeare's novels, excuse me plays. I will call this review a 'lazy review' for writing it in bullet form for I am lazy in fact. 1. Wannabe-Play - Yes, in fact the book was written in a very descriptive form. It was written like a stage play with paragraphs full of annoying what to do next. The author keep on tracking the characters movement, for example he mentioned Juliet and the other casts standing or whatever he saw in a movie or a theater. I think he was watching a local theater while writing this, but still, I can feel myself performing in a book. You are quite good in this part. And, you can also feel that you are working with the stage because of the crisis in the middle. Like, how do you manage that kind of situation in the middle of your play? Can you go for it or not? There are many solutions to answer that part and one of it is to contribute. That was one of the things that I learned from the story. 2. Anything Elizabethan - Wow, I never read this kind of book. I mean, the character of Edmund was well developed being born in Elizabethan Era with his alien accent and old English. The author manage to master Edmund, you really can see the difference from the local kids. Plus, his so called being an Elizabethan actor also mentioned in the middle part and how his movement executed. Bravo for this part and it was well researched, but do you think the teleporting mechanism really works in the past? 3. Tragedy - I like tragedy and it seems like this book had that kind of taste too. Well, what can we expect in Romeo and Juliet, a happy ending? Daaaa. Please wake up readers; of course we already expect to end this book tragedy from the first part. But not quite tragedy and I never cared for love or romance. The author is a guy, so he will never expect to make his love story part entertaining. 4. I'm Sick of Her (Perspective) - Why not write Edmund's perspective or any of the characters in the book? I mean, being female leading star in the hands of a male author is very awkward. I mean, how did you learn the feelings of being female? Because of your wife? I don't know and I think that was the worst thing happened in the book, because most of your readers are female and they can't connect to the character. Vow. 5. Slow Down! - Hey, I know Douglas Rees can write longer than this and little bit slower. I don't know if there are deleted parts here but I can feel that there is. Well, do you have this feeling that the character must exactly do the other thing before that scene?If I can only suggest, I want this a little bit longer and so on but it will be a little harder for him because Romeo and Juliet scenes. Stop that, this is only my suggestion. 6. History - I love history but history hates me forever! I really like the short excerpt from Edmund's life in the end. The bell thing ("with a forenoone knell of the great bell") and the death, it was so so interesting to write with him. I really love how you show Edmund's lost identity in the book and how William got some of his 'lines'. If you are interested, you can read At the Sign of the Globe by Gwendolyn Bowers. 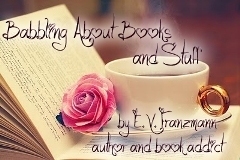 I had all the things stored in my head shared through this review and I wish other readers will love this like how I love to read this book again. But not this year, I'm still busy working with others. Love sometimes ends with tragic ending, happy endings only happened to fairy tales and in real life, love is never ending. Thanks to Pinoy Book Tours for sharing a copy of the book and don't worry guys, I did my best to guard the book from any pests. I wish, everyone had fun reading and reviewing the book! Not a retelling (thank gosh!) Cute? Right now though two things are clear: it was sometimes improbable but mostly sweet. That it involved magic spells was not what rang unlikely to me. That it involved a time travelling English man boy was not a big deal either. I came into Juliet Spell knowing these two things. Rather, it was the characters reactions that confounded me. Everyone was so OK with how things unfolded. On a side note, I found the weeping that took place quite novel if a little annoying. Now to the reactions, Drew's and Miri's mother reacted very surprisingly... both simply went with the flow. Another improbable was the forgiving nature of both mother and daughter. While the characters aren't the best of what I've read of late, they are different, cute and entertaining in their own right. Our Juliet is Miri; she's a take charge kind of girl but sometimes came off as (a lot of the time) clueless. Sometimes I liked her, other times I wanted her to open her eyes. One moment she's focused; the next she's so desperate to get the boy to like her. But at least she had a good relationhip with her mother! And speaking of, her mother was so easy going; too easy going, in fact, that I found her a tad unrealistic. Juliet/Miri's Romeo is a time travelling Englishman (an unintentional one, of course) was hilarious and annoying and cute and not as simple as I originally thought. As to the rest of the players, some were developed, others were just extra. The one who stands out though is Drew: what a handy guy to have around! His explantion of the how behind the time traveling was long winded and confusing but entertaining to hear. It's obvious where the story was headed once he started showing up more... and that this was not obvious to Miri herself, is another one of those improbables. I was kind of hesitant in reading this book because of the last book I read about Romeo and Juliet. They were trying to kill each other which was a little disturbing, unque but disturbing. I actually had to put that book down. It was a bit dragging so I had to pause on that book. Miranda auditioned for a play. Guess what the play was? It was Romeo and Juliet. Obviously, she wanted to play Juliet. Miri didn’t get the part but that didn’t stop her. She wanted it so bad she even went as far as castin I was kind of hesitant in reading this book because of the last book I read about Romeo and Juliet. They were trying to kill each other which was a little disturbing, unque but disturbing. I actually had to put that book down. It was a bit dragging so I had to pause on that book. She wanted it so bad she even went as far as casting a spell to make sure she becomes Juliet. Something did happened but it was not what she was expecting. A guy appeared in her room. Hell no, Romeo was just a figment of Shakespeare’s imagination. Who she got was way better than Romeo, Shakespeare’s brother himself, Edmund right out of the 1500s. This book was very fun to read. I enjoyed reading about Miranda and her cluelessness. It was funny. I know others might not find it good but I kind of wanted to read about a funny girl for a change. Although most of the time (I must admit) she is a little annoying. She can’t seem to figure out what she wants and doesn’t want. “ Ye're the whoreson heir of a mongrel b*tch, an eater of broken meat and the very flower of the pox!" I am the type of reader who loves happy endings. Romeo and Juliet was a tragedy so I think the author thought this book should be too. But really I thought the ending was sad but then I think I wouldn’t have wanted the ending any other way. The book was a little crazy and sweet. It was the type of read that would make you smile while reading it. Miri was not the best female characters out there but she was one of the ones I like. I didn't like The Juliet Spell. The Juliet Spell could’ve been good. Sadly, after a funny and enjoyable start, the cracks started to appear. Douglas Rees lost his grip on me when Edmund acted out like a modern-day, hormone-driven teenage boy instead of a gentleman from Elizabethan times. I was annoyed with Miranda over her falling in love with Edmund a day after she ‘magicked’ him into her present time. C’mon, man. That fast?!! Miranda, who desperately wanted to be Juliet in her schoo I didn't like The Juliet Spell. Miranda, who desperately wanted to be Juliet in her school’s play, got more than she bargained for. She only wanted to be Juliet when she conjured the spell. Instead, Edmund turned up. Miranda is pitiful, watching Edmund play Romeo both in the stage and in real life. What I don’t understand is how she acted like she has any claim on him on such a short time they’ve been together. I don’t like Edmund: immature and child-like. If there’s anything I’d like from the characters, it’s Drew. He’s smart, loyal, and very talented. What a fun and original story. I love when an author weaves historical elements into a YA story without making it overly stuffy. The voice in this book jumps off the page, and not to get too technical, but I LOVED the writer's sentence structure. Three chapters into reading TJS, I actually emailed Rees to ask for tips on how to "make every word count" like he does so well. For a great story, and a good way to improve your craft, pick up a copy of THE JULIET SPELL. You won't be disappointed! Fun, spunky and so cute! Any fan of Shakespeare, a touch of magic and friendship should get a kick out of this spin. Prima di recensire questo libro, ho alcune premesse da fare. Premessa numero 1: prenotate questo libro ORA. HarlequinTeen lo pubblicherà il 27 Settembre in America. Premessa numero 2: la copertina di questo libro ha poco a che vedere con la storia. In effetti non ha nulla a che vedere con la storia. Premessa numero 3: se avete visto e amato Kate & Leopold dovete leggere The Juliet Spell. Per fare ciò, ritornate alla premessa numero 1. E ora passiamo alla recensione. Ho richiesto The Juliet Spell Prima di recensire questo libro, ho alcune premesse da fare. Ho richiesto The Juliet Spell un mese fa attraverso NetGalley, e non l'ho letto fino a questa settimana per il semplice fatto che le recensioni su Goodreads ne parlavano malissimo. L'ho tenuto da parte ed ero convinta che non l'avrei né letto né recensito, ma poi ho deciso di leggere almeno il primo capitolo. Mi sono detta: Se è brutto, lo mollo e non se ne parla più. Dio benedica la mia decisione improvvisa. The Juliet Spell mi ha conquistata immediatamente. L'ho divorato. L'ho amato e lo amo. Lo rileggerò sicuramente. La storia è quella di Miranda (Miri per gli amici e per sua madre), una ragazza che si presenta all'audizione per una recita scolastica, sperando di poter interpretare Giulietta. La recita è appunto una rappresentazione della tragedia Shakespeariana, Romeo e Giulietta. Il presuntuoso professore di teatro ha già scelto il suo Romeo, ed è ora alla ricerca di una protagonista femminile che sia all'altezza della situazione. Miri desidera a tutti i costi ottenere la parte, per diversi motivi. Il primo, è il bisogno di rendere orgogliosa e felice sua madre, un'ex attrice di teatro che ora fa l'infermiera a tempo pieno per mantenere la famiglia; da quando il marito (il papà di Miri) è andato via di casa per "ritrovare se stesso", la situazione economica si è fatta più difficile. Miri desidera talmente il ruolo di Giulietta, che osa addirittura recitare una sorta di incantesimo per ottenere la parte. L'incantesimo, però, ha un effetto assolutamente imprevedibile: dopo averlo recitato, Miri apre gli occhi e si trova di fronte un ragazzo con abiti medievali. Il ragazzo è spaventato, parla con uno strano accento inglese ed è letteralmente terrorizzato dal cellulare di Miri. Il ragazzo si chiama Edmund, Edmund Shakespeare ed è nient'altro che il fratello più piccolo di William. Miranda, quindi, si ritrova con un diciassettenne che proviene dal passato, che non conosce l'elettricità, l'acqua corrente, le auto, la tv, e che non si spiega come e perché "la storiella" di suo fratello sia ancora conosciuta al giorno d'oggi. Mi fermo qui per non spoilerarvi tutto il libro, ma continuo con i miei pensieri in relazione al racconto. Personalmente, adoro le storie in cui passato e presente si incontrano. I viaggi nel tempo sono una delle mie grandi passioni, quindi immaginate quanto e come ho sguazzato in The Juliet Spell. Douglas Rees è stato attento e preciso nel descrivere le reazioni di Edmund e quelle di Miranda. I due, insieme, danno vita a siparietti esilaranti in casa e fuori. A lui mancano 400 anni di storia e di progresso. Lei, invece, non capisce metà dei suoi inchini e del suo modo di parlare. L'autore ha creato una dinamica vera, fra i due, reale. Pur sapendo che si trattava di una fantasia, mi sono immersa completamente nel mondo da lui creato. Attraverso la voce di Miranda (la storia è raccontata da lei), il libro mantiene sempre un ritmo incalzante e interessante. Le sequenza lente o di passaggio sono inesistenti: ogni capitolo è divertente da leggere. E poi, una cosa che ho ADORATO. Di solito, nei libri in cui è presente una componente fantasy, gli adulti (o comunque, coloro che non hanno una parte importante nella storia) non sanno nulla. Gli autori creano sempre mondi in cui sono solo gli adolescenti a conoscere i vampiri o le fate di turno. In questo libro, invece, gli adulti sanno! Sanno che Edmund Shakespeare viene dall'Inghilterra del Cinquecento. Sanno che Miri ha combinato un pasticcio con il suo incantesimo, e sanno che devono proteggere il ragazzo onde evitare che finisca chissà dove. E' stato bello leggere un romanzo in cui adolescenti e adulti lavorano assieme per raggiungere un obiettivo. Mi piacerebbe leggerne altri così. Divertente, romantico, unico e anche un po' toccante (alla fine mi è scappata una lacrimuccia), The Juliet Spell racconta una storia nella Storia, unisce la fantasia alla realtà, e apre una finestra meravigliosa su un viaggio nel tempo che consiglio a tutti. All Miranda wanted was to be cast as Juliet. So after tryouts, just to be sure that she would get the part in the famous Romeo and Juliet play, she did a little spell. The spell was supposed to be a harmless. It was supposed to get Miri the role of Juliet. It was not supposed bring William Shakespeare's younger brother Edmund back from the past! But it did. Now Edmund is stuck in a future with weird contraptions like the car, TV, and cellphone...yes, these things amaze him, which I find pretty hilarious! But since he's here, Miri decides, he might as well help her out with the play, right? Who better to coach her on the play than the own Shakespeare himself? Err, his brother, I mean. I really enjoyed reading this book. I thought it was very cute in a way :) Edmund trying to adjust to the 21st century was very entertaining, and I have to say quite funny. I'm not sure how to describe this story...I'm used to reading darker books with more, uh, sinister/suspenseful plots. At first I thought it would be a light read...and it was, compared to other books I've read. But it was also more profound than I thought it would be. It wasn't just about a stupid girl casting a spell which brings back Shakespeare's younger brother who she falls head over heels for...Well, okay, it mostly was about that. But there was more to the story. The characters I thought were interesting. I was kinda left wondering if Miri had any friends at all! The only people she talked to were 2 guys cast for the play that she never talked to before the actual play! There was also one little thing that bothered me: So Miri's mom is a nurse, and one day when she came home from work and told Miri that the patient she helped operate on was someone she knew...then she told Miri who it was!! This was going through my mind when she said that: OMG she didn't just say the patients name!!! HIPPA!!!! Patient’s confidentiality! Miri would’ve found out anyway, you didn't have to tell her! Why am I overreacting? Well, I'm going into nursing so I know a bit about the medical field. And a super important thing they drill into your head when you first start is about patient privacy and confidentiality, which means that you CANNOT disclose patient information to ANYONE!!! I haven't gotten into nursing school yet, but my aunt is an RN. She told me one time that she saw someone she knew where she worked. This person greeted my aunt and told her to say “hi” to my aunt's mother or something. The thing is, because of HIPPA, she couldn't do that! Much less tell someone who they operated on! Okay, enough of my little rant, lol. Originally posted at Fragments of Life. When I first started The Juliet Spell, I didn’t know what to expect. But I was glad to realize that my fondness of theater-themed books increased with this debut. The main character, Miranda or Miri, was a dedicated theater girl. She was full of hope, dreams and unbridled desire to be Juliet in the upcoming play of her school. Now, I’ve encountered a lot of characters who wanted to be Juliet. But Miri was different. Miri had a purpose to be Juliet and the r Originally posted at Fragments of Life. When I first started The Juliet Spell, I didn’t know what to expect. But I was glad to realize that my fondness of theater-themed books increased with this debut. The main character, Miranda or Miri, was a dedicated theater girl. She was full of hope, dreams and unbridled desire to be Juliet in the upcoming play of her school. Now, I’ve encountered a lot of characters who wanted to be Juliet. But Miri was different. Miri had a purpose to be Juliet and the reasons to back them up. Aside from theater life, at home, she was casting spells. She wasn’t a witch though. She was just a simple girl looking for ways to enhance her chances to get her desired role. So she cast a spell – the one that made her Juliet and made her life and everything else in the story complicated. Her spell brought her a special treat and a complication – Edmund Shakeshaft – the brother of the one and only William Shakespeare. He was fresh from the Renaissance, confused, shocked and panicky. He brought with him his 100% real old British charm and good looks. Being stuck in the twenty-first century left him with no other choice but to adapt and try to blend in, in the bizarre high-tech world. He was a fast learner, a charmer and a true actor. He managed to make both Miri and Vivian, Miri’s competition when it comes to Juliet, fall in love with him. Sadly, Edmund had the hots for Vivian and they took their relationship to a higher, more intimate level. Miri, hurt but still undeniably in love with Edmund, always looked out for him. She was trying in vain to keep him away from harm, namely Vivian. As the rehearsals went on, Miri found herself in the middle of a set of jealousy, crap and chaos. 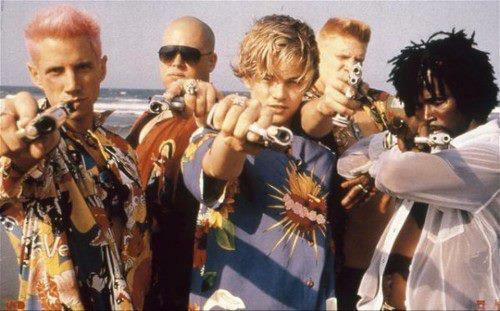 Bobby was still mad that he got Tybalt instead of Romeo. He focused all his anger on Edmund though, especially since Edmund was dating Vivian, who Bobby secretly had a thing for. Drew was probably the most composed of them all. Smart, friendly and easy to be with, he always popped into the scene to help and save Miri and Edmund. But Edmund’s secret was getting harder and harder to keep. People were starting to ask too many questions and it was getting difficult to lie with ease. Could they keep his secret safe? Or would they have to think of a quick solution to Edmund’s stuck-in-the-21st-century-problem? Romeo, Romeo wherefore art thou Romeo? Is Perhaps the most famous line from William Shakespeare’s Tragedy, ROMEO & JULIET. The play itself is one that everyone seems to know most. Well, the story is given a new spin here in the Juliet Spell. Miranda Hoberman is desperate to play Juliet in their town’s upcoming production of Romeo and Juliet. So one night she casts a witch’s spell for fame and instead got an unexpected visitor in the form of Edmund Shakespeare, the brother of the bard, William himself. He took to his new life easily, so easy in fact that in no time at all, he snagged the part of Romeo and got himself a girl, much to Miranda’s chagrin. Good thing though she got the part of Juliet and starts getting close to other players such as the genius Drew and Bobby, who happens to like Vivian, the girl Edmund was dallying with. Eventually Edmund drops Vivian and realizes his real Juliet is Miranda all along. All goes well until time traveling, and life, gets in their way. Miranda is a great heroine. She is funny with lots of biting comebacks for Edmund whose ignorance of all things modern does not minimize his skill at verbal tussles. not surprisingly, she fell for him really fast…as fast as day 2 actually. But he is gorgeous with brilliant blue eyes, long sandy hair and the perfect old british accent. The progression of their relationship is pretty slow. While Miranda has always liked him, he only realized it in the middle of the book, reluctantly too since he feels like he is betraying the trust not only of Miranda, but her mother as well. But they get it together enough to have some sweet, special moments, albeit few and far between. But then there’s also Drew. Of course Miranda is blind to his affections with Edmund around, but then he proves to be a great friend to her…and maybe more… all I can say is, He is the reason everything comes together…… and ends. This is a fun read. it is nicely written and well paced. Short too, it just took me 3 hours of lazy reading to finish the entire thing. and even with the number of ayes, nays and old world words in edmund’s end of conversations, everything is easy to understand. Plus there is a twist ¾ into the book that you shouldn’t miss. Perhaps after reading this book, you’d go straight to reading the real thing. Aye? I think so…. Douglass Reese that author that romps among the genres turns his hand to a contemporary Shakespearean tale. Miranda and her mother are actresses. To keep body and soul together now that Dad, a Jungian, Freudian, dream interpreting psychoanalyst has left in his battered Toyota “to find himself”, Mom is working double shifts at the hospital. A community theater loosely attached to the high school is producing Romeo and Juliet. Miranda wants above all to perform Juliet in homage to her mother. To th Douglass Reese that author that romps among the genres turns his hand to a contemporary Shakespearean tale. A community theater loosely attached to the high school is producing Romeo and Juliet. Miranda wants above all to perform Juliet in homage to her mother. To this end she pulls out her handy dandy magic kit, conveniently purchased via the internet and creates a spell. Enspelling: “I want to be Juliet.”. There is a tremor, she knows something has happened. Of all things Edmund Shakeshaft appears in her room. Edmund is William Shakespeare’s brother. While conducting an experiment in the 1500’s with Dr. Dee that has somehow coincided with Juliet’s spell, Edmund has skipped across the centuries to Guadalupe California. Wow! How to handle this! This would be a fabulous introduction to the concept that Shakespeare’s plays have endured because they address timeless facets humanity. This is another example of a book that I was totally into and loving...and then they went and ruined the ending. Actually, in this case, they ruined the entire second half of the novel. The idea for this story is freakin' adorable! Basically, there is this girl named Miranda who desperately wants to be Juliet in her school play. She realizes that she's not going to get the part and decides to do a little magic spell to make sure she gets the part. But little does she realize that t This is another example of a book that I was totally into and loving...and then they went and ruined the ending. Actually, in this case, they ruined the entire second half of the novel. The idea for this story is freakin' adorable! Basically, there is this girl named Miranda who desperately wants to be Juliet in her school play. She realizes that she's not going to get the part and decides to do a little magic spell to make sure she gets the part. But little does she realize that the spell will work - just not in the way she thinks. What happens is that she ends up bringing Edmund Shakeshaft (William Shakespeare's brother) into the 21st century. The book is still good at this point. Miranda has to take Edmund around and teach him about technology and cars and tv - which is all pretty hilarious, and then she takes him to the school play auditions where he (naturally) gets the part of Romeo and she gets the part of Juliet. It's completely adorable! Then comes the second half of the book: where Miranda's best friend, Drew, learns how to communicate with a doctor in the 1500's via email (and the doctor gets it through a weird water battery thingy). Things are starting to get a little murky for my tastes but I continue reading. By the end of the story, Drew has learned how to make an app on his phone that will send someone to the 1500's, William Shakespeare has come and visited the future, and everyone acts like nothing it out of the ordinary. That's when it all became just too much for me. I finished the book. I liked the way it ended. But I totally disliked the 2nd half. I wish that the author had just stuck with the idea of magic or something...anything! Do you disagree with me? Let me know what you think?! The Juliet Spell was an enjoyable book, it starts of with Miranda, who is sixteen auditioning for the role of Juliet in a school play, it is a role she really wants and isn't sure she is going to get. For her the play makes her dream of mending her family back together, reliving and doing something her mom as an actress never did, so she casts a fame spell never expecting it to work but is terrified when a guy appears. After much shrieking and threats she finds out she has managed to get Shakespe The Juliet Spell was an enjoyable book, it starts of with Miranda, who is sixteen auditioning for the role of Juliet in a school play, it is a role she really wants and isn't sure she is going to get. For her the play makes her dream of mending her family back together, reliving and doing something her mom as an actress never did, so she casts a fame spell never expecting it to work but is terrified when a guy appears. After much shrieking and threats she finds out she has managed to get Shakespeare's brother Edmund in the 21 st century. So, we see Miranda trying to make sense of it and go with it with the help of her mother. We see Edmund's fascination with the world he finds himself in, the women, everything and then he lands the role of Romeo and a girl he seems to like while Miranda finds herself stewing since he doesn't seem to notice her. The book was fun with a good cast of characters, Drew, Bobby etc. We see Miranda's jealousy and I enjoyed all the Shakespeare references. The way they put up the play and the end was good as well, the book mentions that Romeo and Juliet was a tragedy so we can't expect a miraculous ending and the whole tone of the book was light. Try it if you are looking for an afternoon's light reading. I had a hard time with this book. I really tried to like it. I actually did like it. 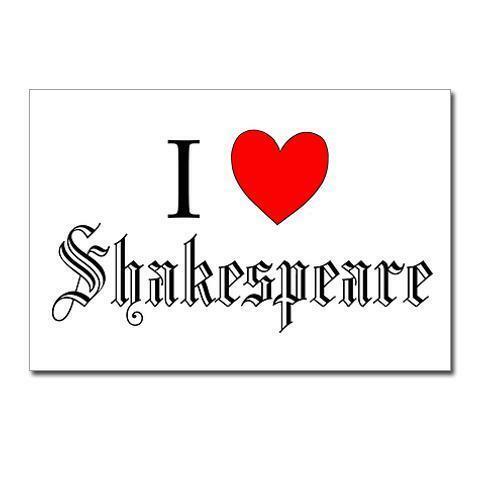 There had been some great characters, lots of Shakespeare (in more ways than one ;) and some pretty funny lines. But something just wasn't right. For one thing the pace felt wrong. It was fast when it should have been slow and slow when I wouldn't have minded some action. Some of the character's behaviors felt wrong and not really believable. Everybody just believed Edmund's story without a second guess for exam I had a hard time with this book. I really tried to like it. I actually did like it. There had been some great characters, lots of Shakespeare (in more ways than one ;) and some pretty funny lines. But something just wasn't right. For one thing the pace felt wrong. It was fast when it should have been slow and slow when I wouldn't have minded some action. Some of the character's behaviors felt wrong and not really believable. Everybody just believed Edmund's story without a second guess for example. I also didn't really like Edmund all that much. In my eyes, he was spoiled, a little arrogant and quite erratic. I'd love to have seen more of other characters, like Drew, who had been the most interesting character by far. Also, there was just too much theater for my taste. Don't get me wrong, I liked the setting and the fact that they were preparing that show but it was just a little over the top with too much talk about the production. Another big issue tha I wanted to like this book from the start, but it just didn't end up that way. I was always annoyed by the main characters. I'd usually always like a guy that spoke in Shakespearean English, but Edmund just didn't do anything for me. Other than being a relative, I don't feel like I was given much about who he was as a character. The issue I had with Miri was that the author gave very little into showing that she even liked Edmund. She also seemed a little overly whiny to me. Juliet Spell was in short: delightful! Just as with any Shakespeare related story all I can say was, You had me at Shakespeare. The plot was cleverly done, and I loved that it wasn't a glorification of the bard but a portrayal through another's eyes of a very human Shakespeare. But lest you be confused, this book isn't really about Shakespeare, it's about everything from theatre to language to science to friendship and of course the play Romeo and Juliet. 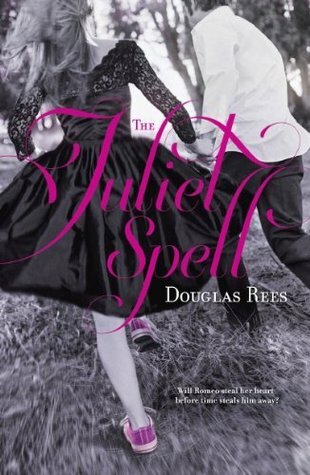 The contemporary YA plot is classic but Juliet Spell was in short: delightful! Just as with any Shakespeare related story all I can say was, You had me at Shakespeare. The plot was cleverly done, and I loved that it wasn't a glorification of the bard but a portrayal through another's eyes of a very human Shakespeare. But lest you be confused, this book isn't really about Shakespeare, it's about everything from theatre to language to science to friendship and of course the play Romeo and Juliet. The contemporary YA plot is classic but Rees stays true to the tragic end of the Romeo and Juliet that is central to the story. I am not a fan of the Epilogue which I think ruins the emotional blow Rees successfully pulls off at the end of the novel proper. In the end what matters is this: it was a sweet read, a smart read, full of quotes from Shakespeare, plays with language, and two main characters to fall in love with it (Miranda and Edmund). P.S. I want this dress on the cover. Didn't want to continue, language, sexual stuff between high school kids, not for me. Just withing the first chapter. Really great novel, loved it, and the Shakespears were really funny! A bit sad ending, but otherwise, a great book! The Plot Miranda is a high school girl, an actress, who dreams to play Juliet. Her mother was an actress that never got to play Juliet, so she wants to do that for her. Her dad is a psychiatrist that, apparently, was a good dad till he decided to run off to “find himself” and she hasn’t heard from him ever since. She wants to play Juliet so very bad that she decided to make a spell for it (big foreshadowing in the name LoL). However, the spell don’t work exactly the way she expects. Miranda finds herself face to face with an English man on top of her kitchen table. Who is he? Who is he? Well the Elizabethan fashion style and the slang of the lad as well as his partum, or lack of, says at all. Can you spell “time travel”? LoL I like this plot, is fun and cute. The Characters - Drama, drama, drama. But what do you expected of a story about Shakespeare’s plays? Miranda is a drama Queen. I like her. She has some really funny babbling sometimes. Her love for the theater is lovely as well as her love for her mother. The other characters (her mother, Drew, Boby, etc..) are well balanced and we get to see them as individuals receiving bits by bits of info along the story. I like this way, I hate when the author throws the characters life story on you in one big gulp. 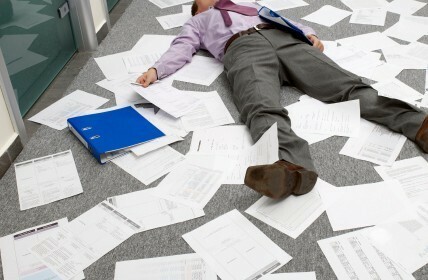 It irritates me and I don’t care for the overload of information. The Writing - Has a good flow to it. It’s told through Miranda’s POV. Some times is a little rushed, but not too much that I can’t follow it. The really old English was funny. English is not my first language, so I was somewhat lost in some of the talks. Jhonny: This Is really important and you may not believe and even think I’m crazy for saying it. Carol: Oh, Kelly. *roll of the eyes* What’s about her? Jhonny: Well, she is a princess form the XVI Century that was cursed by an evil witch. She was turned into a mannequin and the spell was broken when I kissed her. Now she is lost in this mad, mad world of the future and we have to find her before the evil witch that traveled through time finds her and kill her. Jhonny: Please, Carol. *Holds her hand and look real sweetly into her eyes* You are my best friend. You have to help me. Carol: Yes. *heart breaking and swallowing back the tears over the words best friend* I’ll help. Ok, I’ve changed the things a little, but the main idea is in there. Do you see the problem in this dialog? Is not the crazy plot, I like crazy plots, god dammit, I live for crazy plots. Is not the crappie obliviousness of the guy that can’t see the girl is in love with him. I’m used to it. The problem is the reaction and instant accepting of everything. Is like the child went to mommy and daddy saying that there’s a monster under his bed and they went to his bedroom with a shotgun and grenades to kill off the boogieman. No way can a person accept so well something so crazy. And that’s what happens here. They all accept the fact that the guy is a time traveler instantly. No questions asked. I mean, come on. Even her dad. He is a freaking psychiatrist, for crying out loud. There’s no way he would just go with the flow there. Speaking of her dad, no, I better don’t get into this. I just gonna say: A real father don’t walk out on his family. Ok, now that I let that out of my chest, I’ll get to the part I really like about this book. Edmund love acting and he brings such passion to everything he does that jumps out of the pages. His relation with Miranda is sweet and somewhat believable, even in the midst of all the craziness. I love Shakespeare. I love Romeo and Juliet and that was the main reason I asked for this book. In the parts where they showed the contradictions, the real emotions, the human side of the characters I felt close to them and these are the parts that made reading this book worth it. If you pay real attention to the details you see that the story is not only about R&J. This made me real glad. There’s a part where Miranda was speaking with Vivian’s mom and she told Miranda about her affair with Phil. That dialog right there, the human nature, the dealing with the things you can’t change, is so Shakespearian/French. So, as I said, it has many flaws, but there’s really good moments in it. The hardest part to accept was Miranda's parents' reactions: first how her mom easily accepted the whole story and how her dad....a shrink...thought it all made sense because of a dream he had. Then comes the whole magical setting: how some random girl can make a spell and the whole paradox-bla-bla. I just coudn't 'see' that world. I didn't really expect a lot from this book. The synopsis intrigued me, but I'm such a Shakespeare nerd that I wasn't sure it would be possible to make me happy. Well, okay, I totally disagreed with a few of the characters' assessments of Romeo and Juliet's qualities as a play, but that's what people who like to talk about Shakespeare do – they disagree on everything. Noel Streafeild (author of the wonderful Ballet Shoes and rest of the Shoes books) once wrote something I didn't really expect a lot from this book. The synopsis intrigued me, but I'm such a Shakespeare nerd that I wasn't sure it would be possible to make me happy. Well, okay, I totally disagreed with a few of the characters' assessments of Romeo and Juliet's qualities as a play, but that's what people who like to talk about Shakespeare do – they disagree on everything. Noel Streafeild (author of the wonderful Ballet Shoes and rest of the Shoes books) once wrote something along the lines of 'a fan of Shakespeare will only be happy when he gets to disagree completely with the production.' I'm a little embarrassed to admit how true that is. As a last ditch attempt after her audition for Juliet didn't go as well as Miranda (Miri) Hoberman wished, she digs out the spell kit she'd discarded the year before after the spells to make her dad come home didn't work. This time, she tries to cast a spell to make her Juliet – and somehow transports a strange boy into her kitchen instead. The boy is Edmund Shakeshaft, and he's convinced that if Miri isn't Helen of Troy, she must be an angel or a demon or maybe even a fairy. Edmund's entrance is an impressive one, and it leads to confusion, hijinks, and even the possible dissolution of the universe itself. Because Edmund's come from Elizabethan London, and he's an actor with the Lord Chamberlain's Men who just graduated from playing female roles. And he's William Shakespeare's little brother. I seriously loved how the entire introduction of Edmund played out. I loved watching his utter horror at the 21st century turn into fascination and curiosity about everything from the showers to television to the huge leather bound folio of the work of the man he considers his jackass older brother. From the first, Edmund's a charming and complex character, struggling to fit into and understand a society 500 years in his future. Miranda is no less charming a character as she introduces Edmund to her house and world, tries to convince him that doing the dishes is definitely not just women's work, reassures him that he won't die in a car going 25 miles an hour, and not-so-slowly falls for him, accent, strange clothes and all. It's odd that Miranda seems to have no female friends at all, but her relationship with her mother (yay, parental involvement! Her mother is even asked for help!) is a strong and loving one. But the play's the thing in this company of actors, and Miri introduces Ed to her dramatic society where he auditions for and is cast as Romeo – with Miri as Juliet. I so enjoyed the author's obvious familiarity with the theatre as the characters go through the drama of putting together a production. As difficulties and tragedies mount, the action slides near the plot of a Judy Garland and Mickey Rooney musical – “gee, guys! Let's put on a show!” But the similarities stay this side of overly corny, and it's a pleasure watching Edmund's experience in the Elizabethan theatre clash with modern acting and directing styles. One of my chief pleasures in any novel or movie (or tv show, thank you, Doctor Who) about Shakespeare's theatre is playing the 'spot the Shakespeare quote!' game, and the author clearly enjoys that too as he scatters quotes from the plays before and after 1597 (the year Edmund's from) throughout Ed's dialogue. In the author's note, he mentions this is on purpose, and his reasoning (which I won't spoil for you because it's a bit of a plot point) makes me laugh. The Juliet Spell is structured a bit like the play its characters are producing and while the first few acts are filled with lightness, comedy, and typical theatrical disputes (he took my part AND my girl! ), the book gets more serious in the later chapters. Happily both tones are handled well, and the conclusion was very sad but ultimately satisfying. During the 'comedy' section, things seem to fall into place too easily at times – Miri's mother easily accepts Edmund into their life and home without really questioning why this strange kid is in their living room. No one really doesn't believe Edmund's story, and while he struggles to fit into the modern United States, he, Miri, and Miri's friend Drew are easily able to get Edmund a copy of a birth certificate as proof of identity. I've seen some critiques that the time travel in this book in unrealistic – I'm not entirely sure what realistic time travel is - but for me, as long as magic, time travel, paranormal activity is internally consistent within the book, I'm happy. And so it is with this book. I seriously enjoyed reading The Juliet Spell and thank Netgalley and HarlequinTEEN for allowing me to read a galley for review! The book appealed to both the theatre and Shakespeare nerd within me and also the person who reads for intriguing, well-developed characters and situations. I did enjoy the concept of the novel: A regular girl aspiring to be Juliet in her school's adaption of the classic play "Romeo and Juliet" accidently gets her wish granted when the actor who played Romeo shows up at her house. Guess whose the guy that played Romeo (you know, back in Shakespearian time)? Go on, guess! No, not William Shakespeare himself but Edmund Shakespeare. Who in the world is that? William's little brother! Cool - right? And the best part? It's actually true! William did have a little brother named Edmund and he did play Romeo back then. And William loved his brother very much (he paid a whole pound for the church to ring bells when he died, and back then a pound is a lot of money)! Anyways, I did think the idea was really cool. Edmund was an awesome character himself. He spoke with that Medival-tongue and would use words I haven't heard in a while. I LOVED the references to the actual play of Romeo and Juliet. Edmund would quote some of Romeo's lines, different sonnets would be recited and even the old Queen Mab joke was used! I love Shakespeare and I love that play so it was nice to see it used in a different book. And thank the heavens that this wasn't an adaption of the play as I thought it to be. After witnessing the modern version of Romeo and Juliet in English class (the horrid film starring Leonardo DiCaprio), I never wanted to see another adaption again. I was hesitant to pick this book up but a friend of mine assured me it was worth it. I enjoyed Edmund's character the most, probably because he was written like I would expect a guy from the 1500s to act like. Aloof, concieted and strong belief in the Bible and folk tales. I remembered that much from my Grade 4 history lessons on Medieval Times. Edmund didn't automatically start acting like a 21st-century boy with the snapback and low-riders. He was written well. Miranda though, she was a tad annoying. I understand Douglas Rees is a male author and perhaps male authors cannot write female characters as well but seriously? I wasn't expecting the work of Nicholas Sparks but I did have higher expectations for my Juliet. Oh well. My biggest complaint? The pacing. Like I said it reminded me of fanfiction, that is because normally they do not take the time to explain and go over details. And that's how this book was formatted. Things happened so fast and events were constantly changing. All of sudden William Shakespeare is in the book himself and then we get into time travel and blahblahblah. During those scenes, it was as if my brain had left me and I had no clue how that scene just happened. BUT! I did enjoy the tragedy. Was that a spoiler? Whatever, it is based loosly on Romeo and Juliet and everyone knows how that tale ended. Well, although I didn't burst into tears at the end, I did feel a little sad. The love story wasn't bad, as many of my fellow reviewers are saying. I mean, it was no Titanic or anything but it was full of fluff and sweetness and enough humour that I wouldn't be surprised if this was a retelling of some romantic comedy flick. Overall, "The Juliet Spell" is a fantastic light read for those in need of some cuteness and goofy smiles. It's not going to knock-your-socks-off but it is a great casual read. Do we always have to think and reflect when we read or can we just read for pure entertainment? This review has been hidden because it contains spoilers. To view it, click here. Originally posted on emmegail's bookshelf. I read this book in one afternoon and I did enjoy it. If you’re looking for a quick, cute read with a lot of Shakespeare (and Shakeshaft), The Juliet Spell delivers. I think theater fans as well as Romeo and Juliet fans will especially like this one. The pacing was good and I continual Originally posted on emmegail's bookshelf. I read this book in one afternoon and I did enjoy it. If you’re looking for a quick, cute read with a lot of Shakespeare (and Shakeshaft), The Juliet Spell delivers. I think theater fans as well as Romeo and Juliet fans will especially like this one. The pacing was good and I continually wanted to know what was going to happen, especially at the beginning, but ultimately, for me, it contained too many character and plot flaws to rate highly. Miri wants to play the part of Juliet so bad that after her tryouts for the part, she decides to conjure up a spell to “please please please please” make her Juliet. Powers that be, harken to me. Send me success in the thing I confess. To the universe proffering, I make this offering. I want to be Juliet. And at the same time, back in 1597, John Dee and Edmund Shakeshaft, the famous Will’s brother, are playing with the idea of traveling through time. It just so happens that Edmund is thrust into the time continuum and placed smack dab into Miri’s living room. After Miri realizes who and what he is, she cleans him up, feeds him, and begins to show him the ways of the 21st century. Maybe this is supposed to be amusing – seeing Edmund fumble through trying to figure out what these “magic” devices are, but it all fell totally flat for me. My favorite character was Miri’s friend Drew, but she treats him so badly! It’s so obvious that Drew has a crush on her, and she just uses him all the time – for rides, to talk about Edmund, to complain about Edmund and Vivian. And the ending! Ridiculousness – I guess it’s supposed to end tragically like in Romeo and Juliet. I did enjoy the historical tidbits about theater during Edmund’s time. There is a lot of quoting from Shakespeare and while it does go with the whole theater theme, I found it to be really a crutch used to further the story along. At the end of the book, the author states that everything Shakeshaft quotes from his brother was intentionally quoted from after 1597 – suggesting that perhaps Shakespeare’s works are not of his own imagination, but that of others. We’ve been quoting Shakespeare for four hundred years. Who was he quoting? Miranda Hoberman is an average theater-junkie with a lot of not-so-average ambition. After an amazing audition for the female lead of Romeo and Juliet, she finds that her director isn't satisfied with the talent. So, in an attempt to get the part, she casts a Fame spell. Instead of making her famous, though, it brings her someone famous - Edmund Shakespeare, William's younger brother. After the initial shock of the situation wears off, Edmund agrees to help Miranda get the part. The only proble Miranda Hoberman is an average theater-junkie with a lot of not-so-average ambition. After an amazing audition for the female lead of Romeo and Juliet, she finds that her director isn't satisfied with the talent. So, in an attempt to get the part, she casts a Fame spell. Instead of making her famous, though, it brings her someone famous - Edmund Shakespeare, William's younger brother. After the initial shock of the situation wears off, Edmund agrees to help Miranda get the part. The only problem is helping him fit into twenty-first century life. With no identification, there's not much he can do in the present world. As Miranda helps Edmund and he assists her with the play in return, she finds herself falling for him... but even if their relationship works out, can they conquer time? I had a good idea of what to expect from this book. I thought I'd read plenty of novels like it before: a cheesy romance barely backed up by some magic and time-travel. I was dead wrong. Douglas Rees managed to spin a tale that was not only believable, despite the laws of the world, but also entertaining. The romance was not cheesy in the least. I found that Edmund was not the macho superman, but instead, a caring, gentle boy who was not afraid to be himself. In the beginning of the book, when Edmund found out what had happened and realized he may never see his family again, he broke down crying. Shoulders-shaking sobbing. At the time, I found this to be not very attractive. But as the story progressed and came together, and the reader could discover more of Edmund's character, I saw it for what it was: strength. Because a strong man can show his emotions, no matter who else is with them. I also enjoyed the magic. There were laws to it that stemmed from science, and there wasn't a lot of magic withing the story. Normally I would be disappointed, since that was the main reason I picked up the book: for the magic. But I found that the way Rees told this story, without focusing on the magic that brought Edmund to present-time, was very interesting. I had one issue with the authenticity of the historical facts. When Edmund was praying for his family, he mentioned William Shakespeare's children. Their names were Susanna, Judith and Hamnet. However, when Edmund mentioned them, he said Hamlet, as in, the play Shakespeare wrote. This play was written after his son, Hamnet, dies, at age eleven, of the plague. Many historians believe the play is related to the boy, but no one can know for certain. Up until that point in the book, I was loving the way I could really believe that Edmund was from the past. The words, he used, words he didn't understand, even his dialect was mentioned. But when he said Hamlet, I again realized that the Edmund of the book wasn't a real person; his personality was merely a figment of Rees's imagination. Back to authenticity, though, I did like the fact that Edmund was a real person in the past; William Shakespeare really did have a brother named Edmund. And aside from that one error, I couldn't find anything else historically incorrect. I really enjoyed how Rees brought the theater to life in a such a way that even someone who knows not the slightest about acting or plays could picture themselves in a starring role and feel the magic. The book contained a lot of information about acting in such a way that it didn't feel like the reader was learning a whole new topic, like from school, but an interesting fact, like from a magazine or such. None of it was boring. Of course, I can't speak for people who hate theater, acting, movies, and anything related, but I thought everything was realistic, relevant to the storyline, and engrossing. The Juliet Spell was a story I enjoyed (for the most part). It's original, quirky, and I totally love Romeo and Juliet, so this was a great contemporary meets sci-fi "re-telling" (although it wasn't one). There were a couple of things I didn't like about the story though. Some that kind of took the interest away from the story and put me a little off-kilter. Miri's character was strong– but to be honest, I thought she was just a little to obsessed with getting the role of Juliet and Edmund. Okay, I get the part about Edmund, but honestly, would I lust after the role so much that I would turn to magic in some desperate attempt to gain that part? No. I've auditioned several times for school plays. I have been turned down and in no circumstance (even if I really wanted the part) have I ever become so desperate to do anything. Disappointed? Maybe. But never desperate. Another thing that kind of ticked me off was the fact that she ignored Drew for the most part and kept on going after Edmund (more on him later). HELLO. There's a perfectly nice guy, who is practically doing all the work for you. I just thought that her ignorance was unsettling. Now, EDMUND. I will have to say, I really did like him. He was well-developed, stayed in character for the whole novel. His speech was authentic, and to my own knowledge seemed Shakespearean, so he probably was one of the most interesting characters. BUT as the story progressed, he become one of those boys. Ick. Who chased after the pretty shallow girl Vivian and wouldn't listen to Miri's warnings about her. Just a little sickening. Drew was a really sweet character, but his long-winded explanations about time travel really lost me. Nothing much to say otherwise. Same goes with Bobby. I understand the whole jealously thing, but what I don't get was Miri's short-lived crush on him. That was just a bit weird. The ending was satisfying though I must say, all though it was on the sad side. I thought it ended well– so a great beginning, great ending, and only the middle bits were a bit iffy. Sounds like an alright story to me. While I have to admit that this book didn't quite live up to my expectations, it was a light-hearted, quick-paced read. The premise is cute and the story is fun, but I guess I was expecting a little more pizazz. Miranda is a fairly typical teenager with high aspirations for her acting career. In a moment of desperation, she casts a spell, which she's not really sure will actually DO anything, and the next thing you know there is a man standing on the table in front of her, clearly from another c While I have to admit that this book didn't quite live up to my expectations, it was a light-hearted, quick-paced read. The premise is cute and the story is fun, but I guess I was expecting a little more pizazz. Miranda is a fairly typical teenager with high aspirations for her acting career. In a moment of desperation, she casts a spell, which she's not really sure will actually DO anything, and the next thing you know there is a man standing on the table in front of her, clearly from another century. He's amazed by everything in her world, from the paved streets and fast-moving cars to the tv and cell phones. Miranda (and pretty much everyone else in her life) takes Edwards appearance in stride and adapts to make him a part of their world. Miranda even finds herself falling for him (which is unfortunate after she tells everyone he is her cousin). While I didn't outright dislike Miranda, I had a bit of trouble connecting with her character. She seemed a bit self-centered in my opinion. When she casts the spell in the first place, she is really just trying to ensure through magical means that she gets the part she wants in the community play. Throughout the novel, there are few instances when she really seems to think about how her actions affect those around her. I felt like she missed a lot of what was right in front of her. Drew was my absolute favorite character. He was always there for Miranda, especially after she opens up to him about the Edward situation. He takes everything in stride, but for his character, this made sense as he seems to know/study some weird stuff (yay, nerdy friends!). You could tell he had some strong feelings for Miranda almost from the beginning but the silly girl is just to blind to notice him. Throughout the story, he is always there for her, even when he realizes that she's got it bad for Edward. He is constantly looking for a way to help Edward return to his own time period and he's really a key player when it does come to sending Edward back home. I truly wanted to enjoy this story and trust me, I tried. However, there were a few things that threw me and really made it difficult to immerse myself in the world in the way that I usually can. First, the characters were far too trusting/forgiving. No one bats an eye when they find out that Miranda actually brought Edward from the past to the present with some crazy spell. Miranda and her mom welcome her absent father back in to their lives with open arms, despite his crazy abandonment to "find himself" without offering up any financial support. Second, the language often caught me off guard. I expected Edward to use outdated language/phrases, but when those same words/phrases started popping up in the normal conversations of Miranda and her friends, I felt like it didn't flow quite right. It sounded forced. I was born on October 19th, 1947 in the hospital at March Air Force Base just outside Riverside, California. My father, Norman, was a career sergeant who'd served as an aircraft mechanic and infantryman in the Philippines campaign early in the war and was taken prisoner on Bataan. My mother, Agnes, was a nurse at the hospital where he was sent to recuperate after the war was over. Until I was fift I was born on October 19th, 1947 in the hospital at March Air Force Base just outside Riverside, California. My father, Norman, was a career sergeant who'd served as an aircraft mechanic and infantryman in the Philippines campaign early in the war and was taken prisoner on Bataan. My mother, Agnes, was a nurse at the hospital where he was sent to recuperate after the war was over. Until I was fifteen, I lived on or near a number of Air Force bases in this country and in Germany. My sister, Patricia, was born in 1950 at Travis AFB. Until I was six, I wanted to be a fireman. Between six and twelve, I wanted to be a paleontologist. When I was twelve, I decided I wanted to be a writer. I still haven't outgrown that.